Federal Tax Authority(FTA) of UAE has introduced the eServices section on their website. Businesses who want to register for VAT need to create an account on FTA`s website before filling up the online registration form. Click on signup button that will be on the top right corner of the website page. After this enter the alphanumeric code to verify that you are a genuine user. After completing this form click on sign up button. FTA will send you an email on to your email ID for confirmation. Please open your email ID and click on the link to confirm the ID. You must verify the email within 24 hours otherwise the link will expire and you have to complete this process again to get a new link. After the completion of the verification process. Click on login button that will be right next to sign up button. 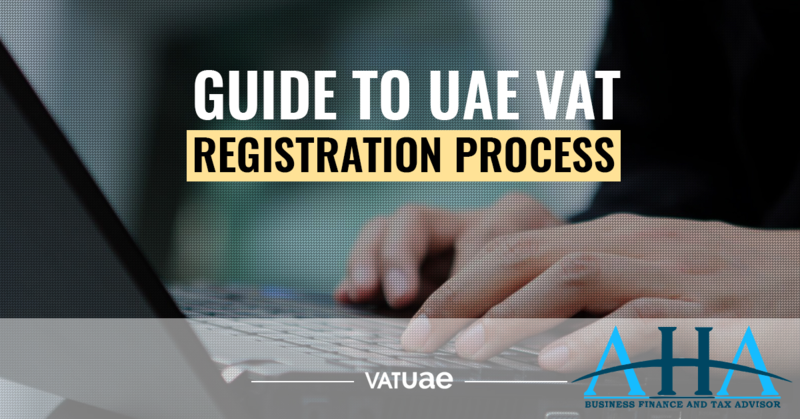 On this page, FTA designed VAT complete guide to help the user to understand the importance of VAT and registration process. It is recommended by FTA that each individual should read it all before proceeding further. After reading the guidelines tick the box and click on submit. Complete the bank details form. Complete the VAT requirement form. Review the form and submit it for approval. An individual can track down the application by login to the website and click on the dashboard tab. Application status will be mentioned there.